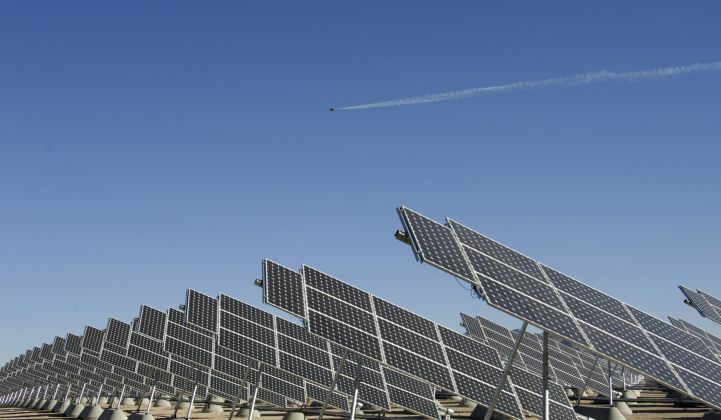 Speaking of loan guarantees, the Department of Energy has offered a conditional commitment for a $45.6 million loan guarantee to support the 20-megawatt (AC) "Apex" photovoltaic solar generating facility in Nevada. The project, sponsored by Fotowatio Renewable Ventures (FRV), is being supported by the DOE with funding from the 2009 Recovery Act. It will be developed about 25 miles northeast of Las Vegas. The project’s sponsor estimates it will create 250 jobs at peak construction. The Apex solar generating facility will include over 90,000 polycrystalline silicon modules attached to single-axis horizontal trackers. Power from the project will be sold to Nevada Power Company. The Fotowatio application was received by lender-applicant John Hancock Life Insurance under the Financial Institution Partnership Program (FIPP). FRV has a supply agreement with module supplier Trina Solar. I spoke with Mark McLanahan, Senior Vice President at FRV. FRV has a pipeline of projects that has grown to 280 megawatts of signed PPAs. That puts them into third position behind SunPower and First Solar, according to the firm's reckoning. McLanahan said that they have "late-stage development assets going for PPAs closer to a gigawatt." 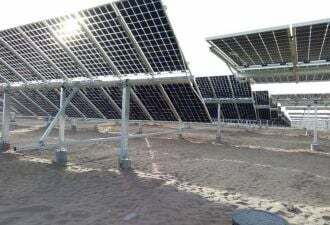 Loan guarantees for solar farms have to date gone to enormous projects like the California Valley Solar Ranch (CVSR) being developed by SunPower or to projects by First Solar. This project is smaller, at 20 megawatts, and lies in FRV's "sweet spot" of 20 megawatts to 40 megawatts (although FRV does have the Edwards Air Force base project in its pipeline with a potential of up to 350 megawatts).